We’ll miss you, Robin Williams. I’m not known to write many articles past the typical review, but today felt like one of those days. Yesterday’s heartbreaking news of Robin Williams’ passing was an incredible shock that I first thought it was another hoax and was annoyed. The more I kept hearing of it’s authenticity, the more I wished it was a hoax. It’s always horrible to see the ugly side of comedy and tragedy, and how often the two are seen together. It’s even more saddening to know that a man with such a huge heart and kind spirit could be so mixed up with depression. It’s not fair. 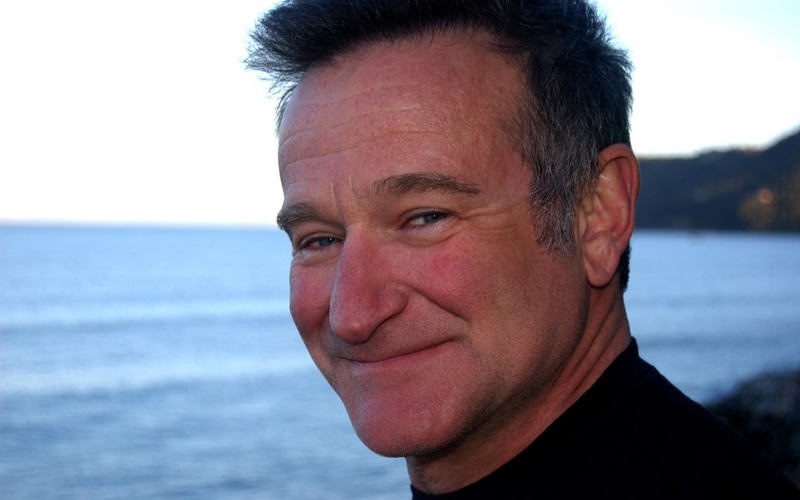 Robin Williams was a true inspiration to almost anyone, and one of my heroes. I’m not even sure if many people disliked him…he was just a hugely likeable guy. Celebrity deaths are always a horrible shock, but there was something incredibly special about Williams that made yesterday more shocking. I won’t list off celebrity deaths, but you know as well as I do that some of them, as sad as they are, make sense. I’m still waiting for Robin to pop up somewhere, pulling off an elaborate prank. I’m not ready and am uncomfortable saying that he “was”, because to me, he “is” and always will be one of the greatest men that ever graced the silver screen as well as in real life. There is no question in my mind that he will be missed by many, and my heart goes out to his family. There’s not many films of his that I will soon forget. R.I.P. To an iconic and inspirational man, a legend, Robin Williams. Great text, man. It made me tear up a bit. It was heartbreaking to lose one of the smartest, dearest comedians and a wonderful actor. 😦 He will surely be missed.